Philippe Kahn has been in the quantified self game longer than most. You may not have heard of MotionX, his activity tracking technology, but it's been at the forefront of wearables since the very beginning. MotionX was the brains behind the ubiquitous Jawbone UP24, and after powering Nike's fitness tracking empire it's now at the heart of the first Swiss-made smartwatches from Mondaine, Alpina and Frederique Constant. 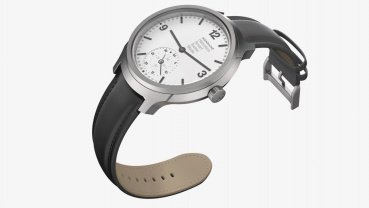 So why switch from the likes of Jawbone to the Swiss watch old guard? With twelve years of fitness science and 100 million hours of data, he believes Fitbit, Jawbone, and Apple are missing a trick. Kahn knows a thing or two about the future - he's credited with inventing the camera phone in 1997 - and if he has one message for wearable tech, it's this: strike a balance between accurate tracking and form factors we can live with. Take this year's most anticipated fitness tracker, the Jawbone UP3. "Thank god we have nothing to do with that," Kahn told Wareable. "Zero per cent of the tech on the device is ours, our infrastructure is still on the app of course. It's not the right device and they're also having a hard time getting it out. "The future of wearables is non invasive. On [the UP3] all of the electrodes need to be in contact with the skin at any time. It could have the same problems as Fitbit has had with rashes. It's because they're asking people to wear them tightly. The skin doesn't like that." Kahn says that Fullpower, the company behind MotionX, has the tech to rival say, specialist polysomnograpy (sleep monitoring) machines with wearables but that the sensors and software that MotionX uses are the right balance for accurate tracking and tweaking of real life behaviours. "It's Heisenberg's Uncertainty Principle," Kahn explained. "In the lab, what they measure is disrupted sleep because the participants are wearing headgear. It's not your day to day sleep. The tech challenge is what actionable information can you give to users not what sensors can you put into a device." For Kahn, being "invisible" is important. "We have 80% of lab accuracy," he said. "The remaining 20% is so invasive it's counterproductive. You don't want to wear something tight on the wrist or that you'll forget to charge." There's lessons from the Fitbit rashes for smart clothing too. "You have to be able to forget that device. If you put tech in clothes, it's not about creating tight clothing to measure blood flow. That's OK for athletes but not for Mr and Mrs Everyone - those are the people we want to help." Listening to Kahn's vision for reliable, low power, invisible wearable tech running on an edited, refined MotionX module it becomes clear that Apple sees things slightly differently. The Apple Watch will be anything but invisible when it launches this month. "The Apple Watch will be successful with iPhone users," said Kahn, "but it's just one approach. It's not a sports event where the winner takes all. Consumers will look at what they can use day to day. It may be an Apple Watch, it may be a Fitbit, a Jawbone, it may be a Swiss watch." A big, real world difference between these devices is battery life. 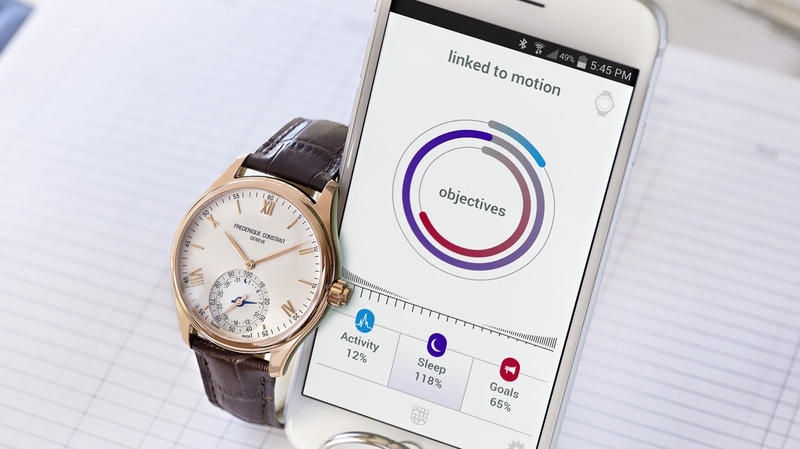 The Swiss-made smartwatches, which Fullpower's tech is powering through the MMT partnership and Horological Smartwatch Open platform, last two and a half years. The Apple Watch will probably need recharging every day. "A watch is something that should tell you the time 24 hours a day," added Kahn. "If you want to focus on health and fitness and you have a one day battery life, it's going to be hard to wake you up every morning." Then there's personalisation. Yes there's 38 different Apple Watch options if you take into account the two sizes but they all still look - perhaps even iconically - like an Apple Watch. But is that enough? "Imagine being in a business meeting with five people all wearing an Apple Watch," he said. "I can tell when two women are wearing the same dress or two guys are wearing the same shirt. They don't like it. We all want to be special, unique. We don't want to look like a bee in a beehive." Some predictions put Apple Watch sales at 25% of total wearable tech revenues for 2015. To Kahn, Apple's total dominance would amount to nothing less than a dystopian future. "Sitting outside a cafe people watching would be no fun if everyone looks the same. It would be an Orwellian world where everyone wears the same thing and uses the same phone. Wearable tech is diversity." That's where Manufacture Modules Technologies (MMT) comes in. It's a partnership between Fullpower, which is based in Silicon Valley, and Union Horlogère, a Swiss company which owns watchmakers Alpina and Frederique Constant. The module has been made available to third parties such as Mondaine which has already shown off its dapper Helvetica No 1 Smart watch and Kahn hints that we will see more Swiss-made watches running on MotionX tech by the end of 2015. "We're lucky that the Swiss watch industry was looking for something that no-one else could deliver," he said. 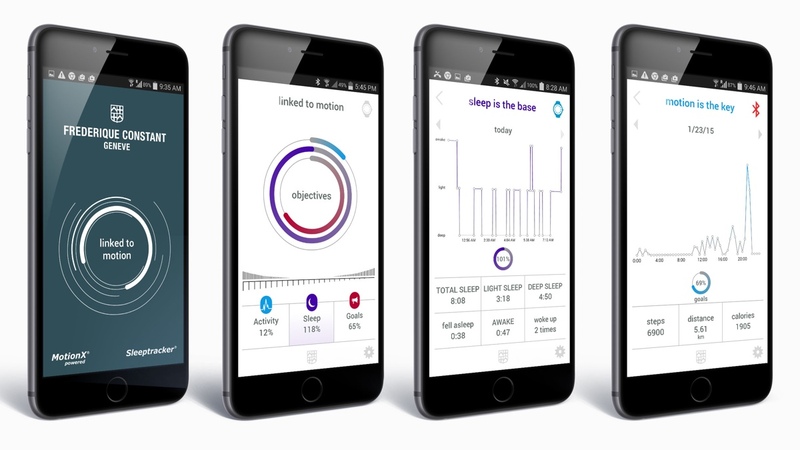 "Two year battery life, clinical levels of sleep tracking... We're scientists, that's what we do. "There are companies that do marketing very well, like Fitbit, but from an accuracy standpoint, it's not where it should be. People will be much more selective in the next few years." We ask what impact he expects this new breed of Swiss smartwatches to have on wearable tech and the CEO corrects us by stating that watches are wearables by definition. "All wearables are trying to be as user friendly as the watch," he said. "You glance at it, it tells you the time, you don't need to tap on a screen. 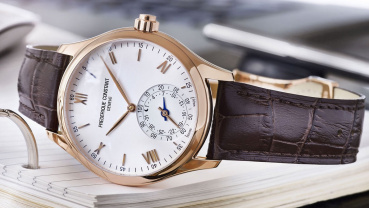 There are people who love beautiful watches but the Swiss watch industry will do really well with the millennial babies who haven't had anything on their wrist yet." 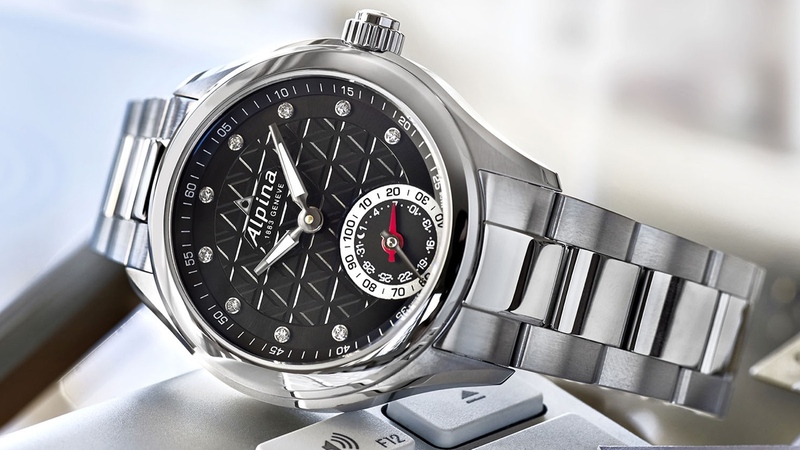 After two years, owners of the first wave of MMT watches will get the coin cell battery replaced on their tech timepiece and at that point, when it goes in for a "little service" if there's a new MotionX module that can be swapped out, it will be upgraded too. Of course, in the meantime there will be countless software upgrades too, for instance, Fullpower's Adaptive Coaching system. Two and a half years. We'll no doubt be on Apple Watch 4 by then. The trick is creating modular "beautiful objects that are built to last" not throwaway tech that's out of date in six months. "We're trying to change the Kleenex mentality of technology - you buy a smartband or an Android Wear watch and next year you'll throw it away," said Kahn. "This is a horrible world we're preparing for the next generation. We have to get away from that crazy approach, as we look at the resources left on this planet. "We need to be able to create objects that are worth keeping and upgrading. You can change the internals of the watch with a plug and play approach. To the user, the beautiful band and watchface stay the same. That's the beauty of the Swiss watch. I love the watch my wife gave me - I have an emotional attachment to it. "Take an iPod from five years ago," he added. "You don't really care about some third generation iPod. There's no emotional attachment. The same thing is going to happen to the Apple Watch no matter how much they sell it for." Kahn knows what he wants but he's not in the business of designing hardware. He likens Fullpower's position in the world of wearable tech to ARM's role in the smartphone world - ARM makes processors not phones, Fullpower provides the platform, not the style. Still, there are plenty of customers that he can't name just yet and not just in the smartwatch space. Fullpower already provides the tech for internet of things devices, not just wearables, and it is also making moves into smart jewellery where modular, upgradeable tech also makes a lot of sense. "Connected jewellery? Absolutely, we're working with several players," Kahn hinted. 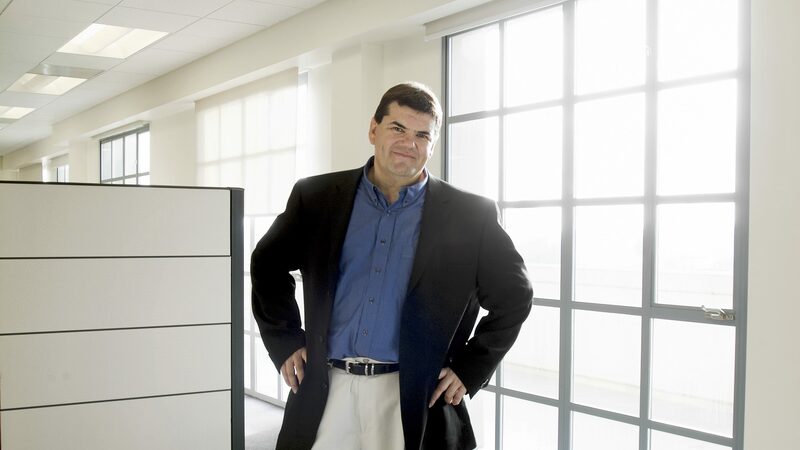 "If you look at the Jawbone UP Move, you can imagine it could be five times smaller. Our platform is designed to be scalable from the internet of things to connected jewellery. MotionX is designed to be invisible, small, long battery life." We could get emotionally attached to that.